On December 30th 56 Villagers attend the third annual Pot Luck Dinner to celebrate the New Year. This Village tradition continues. 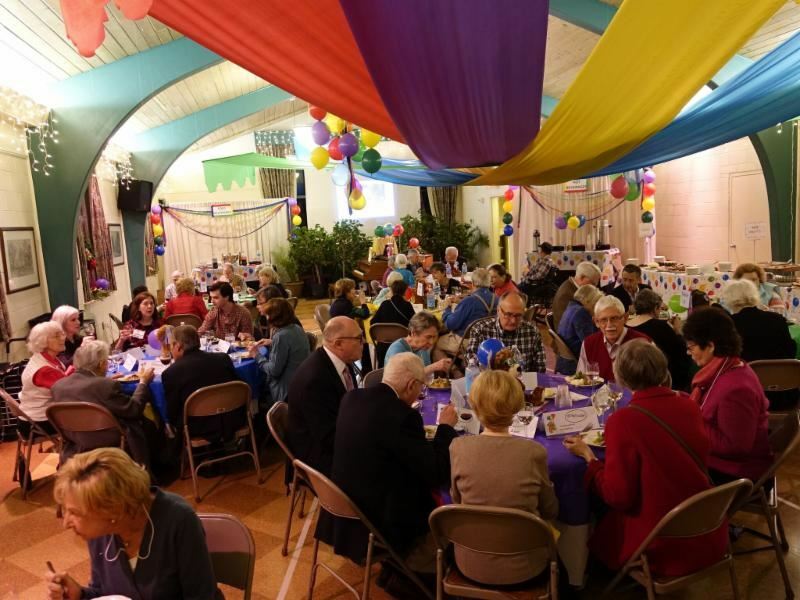 The Village program committee pulled out all the stops with elegant decorations, volunteer staff serving hors d’oeuvres, excellent food, music, and joyous greetings for the New Year. Executive Director, Bob McDonald, detailed the Village accomplishments for 2015. Ruth Schimel and Sally Willis spoke as a recipient of services and as a volunteer. All agreed that the party and the warm company of new and old friends set the tone for 2016 – this will be a year of great promise and opportunity for FBWE Village members and volunteers alike.